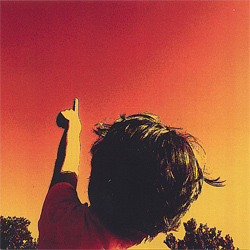 SADHAPPY: "Pretty Please", de Outerspaces, Periscope Recordings, 2005. MONODRAMA: "Normal", de Modern Post Mortem, Monodrama, 2015. 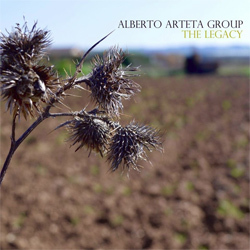 ALBERTO ARTETA GROUP: "Zuri Beltz", de The Legacy, Errabal Jazz, 2016. PHRONESIS: "Just 4 Now", de Parallax, Edition Records, 2016. RS FAKTOR: "Akúfeno", de Akúfeno, Errabal Jazz, 2016. 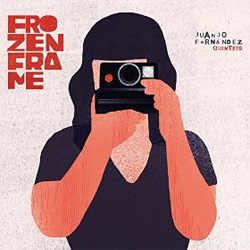 JUANJO FERNÁNDEZ QUINTETO: "Aachen", de Frozen Frame, Quadrant Records, 2016. 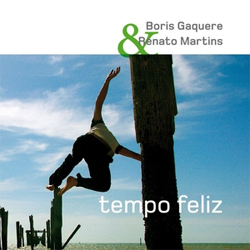 BORIS GAQUERE & RENATO MARTINS: "Pixaim", de Tempo Feliz, Mogno Music, 2006. VICTOR SEQUÍ: "Equilibrios (Extract)", de Clarinet Museum, Alina Records, 2016. 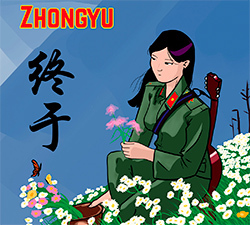 ZHONGYU: "Iron Rice Bowl Has Rusted", de Zhongyu, Moonjune Records, 2016. 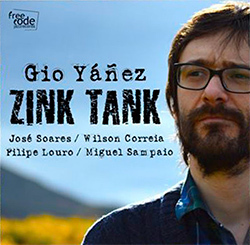 GIO YÁÑEZ: "D's Mile Within", de Zink Tank, Free Code Jazz Records, 2016. IAGO FERNÁNDEZ: "Negra E Punto", de Agromando, Free Code Jazz Records, 2011. TAK! : "Acrifa", de Jazz Fussion 2013, Paideia, 2013. GERMÁN KUCICH TRIO: "The Place", de Inside, Youkali Music, 2016. NO NAME: "On The Third Day", de No Name, No Name, 2014. ALBERTO VILAS QUARTET: "A Arte De Seguir En Pé", de Ubuntu, Alberto Vilas, 2016. SINAVISAR (DENNIS MATEIS & RICARDO MARICHAL): "Esencia", de Cars, Alina Records, 2016. ANDRÉ FERNANDES: "Chifre", de Dream Keeper, Edition Records, 2016. 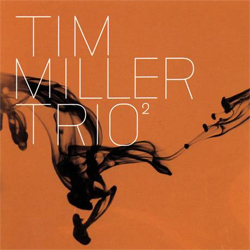 TIM MILLER TRIO: "Thread", de 2, Avenir Records, 2007. NAIMA: "Les Débris", de Bye, Cuneiform Records, 2016. ORGASMIC QUINTET: "Matusalen", de El Soulógic De Jordi Mestre, Quadrant Records, 2016. 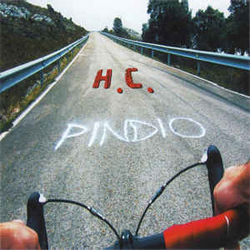 PINDIO: "G35", de H.C., Leo Records, 2016. RICHARD BONNET: "King Corn", de Open & Closer: Chord Tribute For Bley Music, Alina Records, 2016. ALEXIS ALONSO: "Toy Store Girl", de The Birth Of Time, Alexis Alonso, 2016. PITTS MINNEMANN PROJECT: "Conquistador", de The Psychic Planetarium, Pitts Minnemann, 2016. 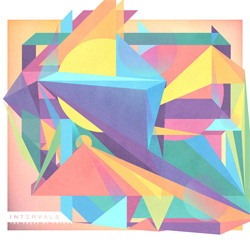 INTERVALS: "Fable", de The Shape Of Colour, Intervals, 2015. BEYOND TURBINES: "Zawinul", de Beyond Turbines, Spice Rack Records, 2015. RS FAKTOR: "P.F.B. 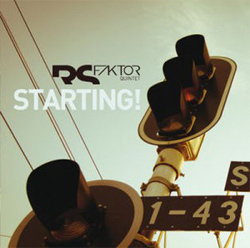 ", de Starting!, Errabal Jazz, 2012. 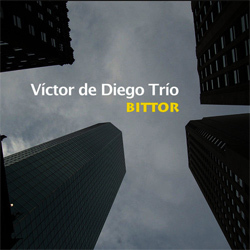 VICTOR DE DIEGO TRIO: "I Will Remember April", de Bittor, Quadrant Records, 2016. MARCOS PIN: "Lullaby For My Two Boys", de Broken Artist, Spin Pin Mood / Free Code Jazz Records, 2016. MICHAEL MANRING & SANDOR SZABÓ: "Swingy", de Inner Smile, Acoustic Music Records, 2009. MILO KE MANDARINI: "Manyana i Manyana", de La Vereda De La Gitana, Milo Ke Mandarini, 2016. PHRONESIS: "Rabat", de Parallax, edition Records, 2016. TAK! 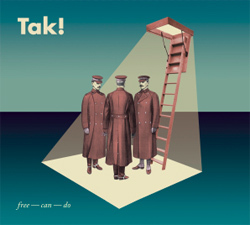 : "Bcn Hell", de Free-Can-Do, Tak Quartet, 2016. 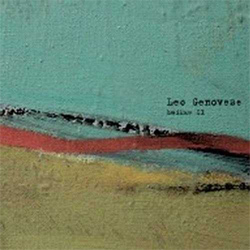 LEO GENOVESE: "Odlac", de Haikus II, Fresh Sound New Talent, 2004. GONZALO DEL VAL TRIO: "Cantabile", de Koiné, Fresh Sound New Talent, 2016. ALFONSO CALVO SEPTET: "Come Spring", de Sea Ahead, Free Code Jazz Records, 2016. GABRIEL SZTERNSZTEJN: "Días De Lluvia", de Gabriel Szternsztejn, PAI Records, 2001. 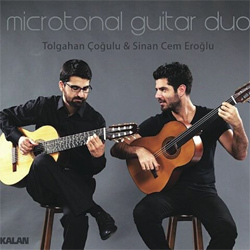 TOGAHAN ÇOGULU & SINAN CEM EROGLU: "Kele Kele", de Microtonal Guitar Duo, Kalan, 2015. 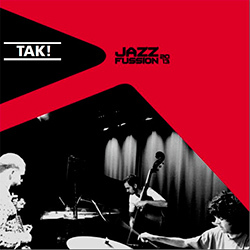 Etiquetas: Alfonso Calvo, Gabriel Szternsztejn, Gonzalo Del Val Trio, Leo Genovese, Microtonal Guitar Duo, Phronesis, Tak!